The year 2015 began in the same way as 2014 ended: abandoned cargo ships in the Mediterranean Sea drifting towards the shore, full of hundreds of migrants deprived of water and food, transported like cattle in inhuman conditions. Last year, a record 350,000 migrants took the seas, often with tragic results. Over 4,000 people were swallowed up by the Mediterranean in 2014. Our “Mare nostrum” has become a cemetery. These migrations are not confined to “Fortress Europe”. They are a planetary phenomenon (on the Mexican-American border or in China…). 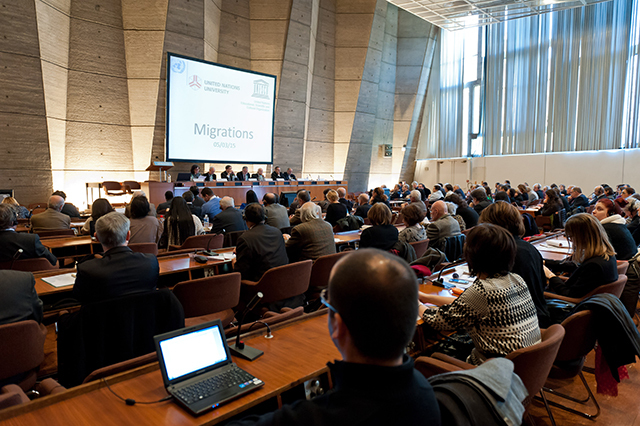 With more than 215 million international migrants and 750 million internal migrants, migration is one of the major trends of the twenty-first century, with lasting impacts not only on political, social and economic systems but also on the composition of nation-states. This trend will probably increase in the coming years as an inevitable consequence of the economic crisis, of increasing conflicts in many region of the world and of the environmental degradation caused by climate change. 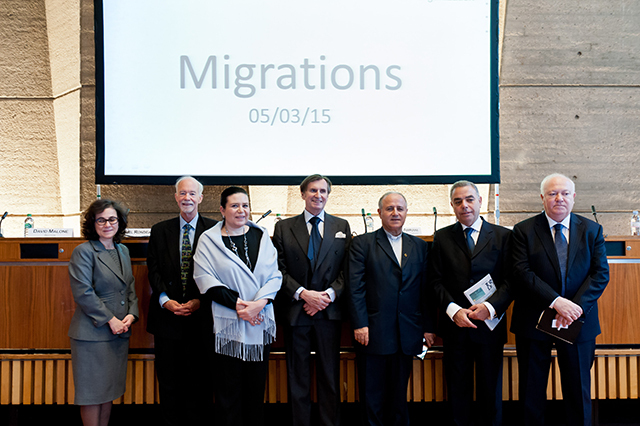 On 5 March 2015 UNU co-organized a meeting at UNESCO with major political stakeholders — committed to both reflection and action in different countries — and international experts (both academics and those working on the ground) to analyze the causes of the current massive migrations and adopt a forward-looking approach. 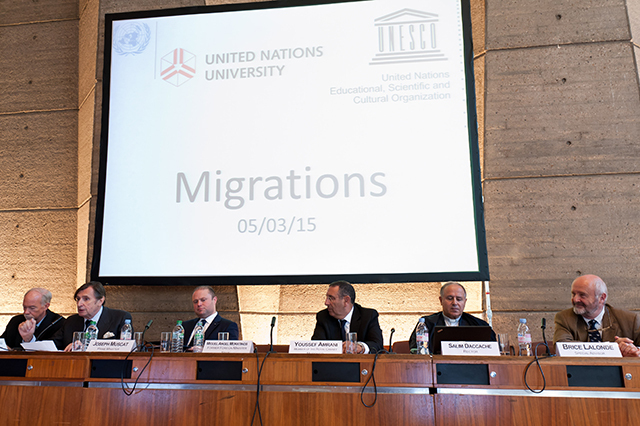 Several articles about the conference appeared in French and Maltese Medias, such as Le Monde and Malta Today. See the Related Files tab for the event’s full programme, other speeches and background information.